Since the first edition of Social Europe was published in 1992 profound social changes have occurred throughout Europe as a result of conflicting pressures on the one hand to become more integrated and on the other to protect national interests and identity. 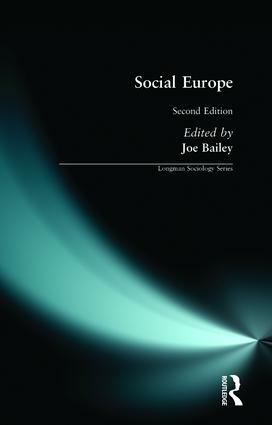 This second edition of Social Europe has been fully revised to provide a comprehensive and focused account of basic social issues and structures which provide the context for these changes. Each chapter covers a key topic such as education, crime, gender, health and religion and provides valuable comparisons between the key nation states of Western Europe.